Where has the summer gone? This is week seven of our nine week Free Summer Concert Series in the park. 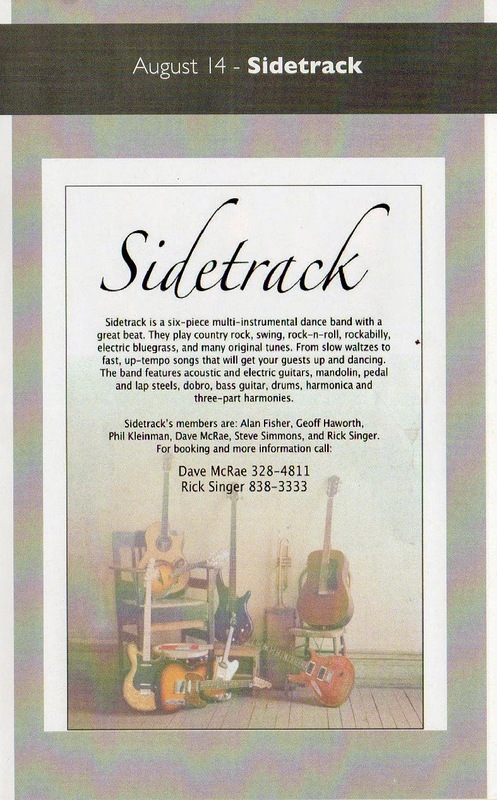 This Thursday evening we offer Sidetrack! They start at 6 pm and you'll be tapping your toes until 8. Bring your chairs, kiddos and best friend's dog because as always, we are Family and Pet friendly!